In the early 20th century, one Canadian explorer by the name of Vilhjalmur Stefansson wanted to claim a sizeable piece of land in the Arctic Ocean, about 100 miles north of the Siberian coast, and 250 miles from the nearest point in Alaska. 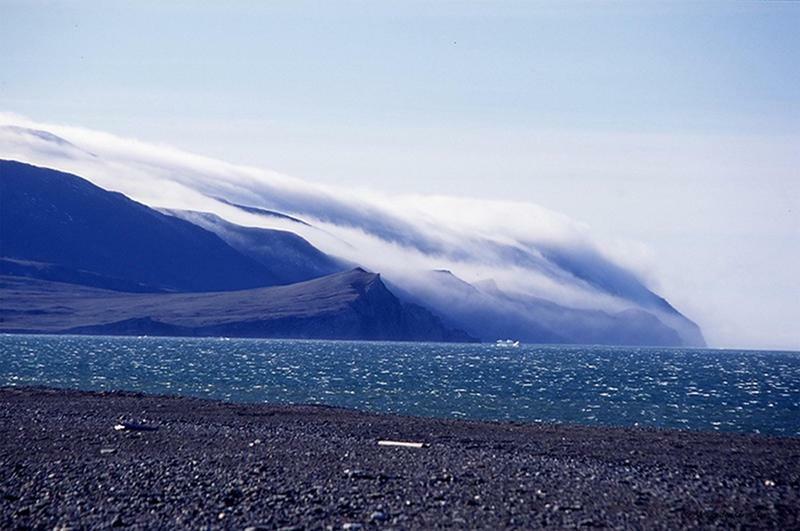 That island was the Wrangel Island. Stefansson asked the Canadian government to fund his expidition, but he was turned down. In 1921, he came up with a new plan - claim the island for Britain. So, he assembled a crew and sent them on the mission. There were four men assigned for the expidition - Americans Frederick Maurer, E. Lorne Knight, Milton Galle, and Canadian Allan Crawford. The team decided to recruit an Eskimo family to help them maintain camp and cook food while they spend time studying the land. Several families expressed interest, however, when the day came to set sail, only one woman showed up - Ada Blackjack. Ada was a widow with a young son. In order to make money, she decided to join the dangerous expedition to the frozen Wrangler Island. She had expert sewing skills, but no experience in wilderness survival whatsoever. On September 9, 1921, the team left with six months worth of provisions for what they expected to be a 2-year mission on Wrangler, the minimum period of time international law requires to stake claim to an unoccupied land. Their plan was to set up camp and hunt the area until a supply ship replenish their provision the following summer. On September 16, the crew landed on Wrangler Island, raised the British flag, and claimed the island for King George. The team busied themselves with the tasks at hand and soon fell into a routine. Ada sew and fastened hoods to the men’s reindeer parkas, as others constructed furniture and a door for their snow house. They set up their meteorological instruments, tended to the sled dogs, tracked geese and polar bears. They have everything they did documented in a journal. The first few seasons was relatively comfortable for them. But they started to get concerned about the lack of game on the island. By January, they only managed to hunt down nine foxes, two bears, and one seal. When spring came, they began trapping, but fresh tracks were rare. It made no sense, they observed, as all the game seemed to have vanished. Despite the growing concern, the group still carved through their supplies as they knew a supply ship would arrive in summer. On June 2, an icy summer storm froze the ocean around Wrangler Island. The hopes of a supply ship dwindled. Back in Alaska, Stefansson hadn’t been able to raise enough money for a relief ship. After appealing to the Canadian government for $3000, he finally found a captain willing to man the relief mission. But the ship Teddy Bear didn’t set sail until August 20, perilously late given the icy season. By September 22, 1922, the supply ship returned to Nome. It never reached Wrangler. On the island, the men painfully realized the window for the supply ship had closed. They scrambled to ration their already-low supply. Plus, they’ve already used up all the woods within the 2-mile radius of camp, so they would need to relocate. In September, the crew managed to kill some walruses and they were all delighted. In January, Crawford and Knight decided to scout the most solid ice. Knight wasn’t feeling well, he was feeling unusually stiff, fatigued, and melancholy. He had scurvy. In minus 56 degrees, Ada helped packed the sleds for the remaining crew. 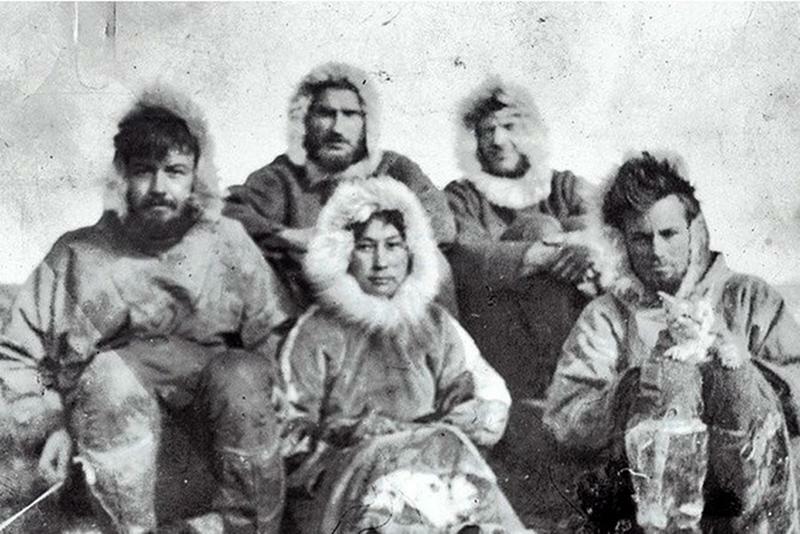 They took three 20-pound cases of hard bread, two 5-gallon cans of blubber, geological specimens, tools, and the five remaining dogs. Galle promised Ada they would be back for her and Knight. A massive storm rose the next day, and the men never came back, they were never seen again. Excerpt of a statement made by Ada Blackjack to U.S. 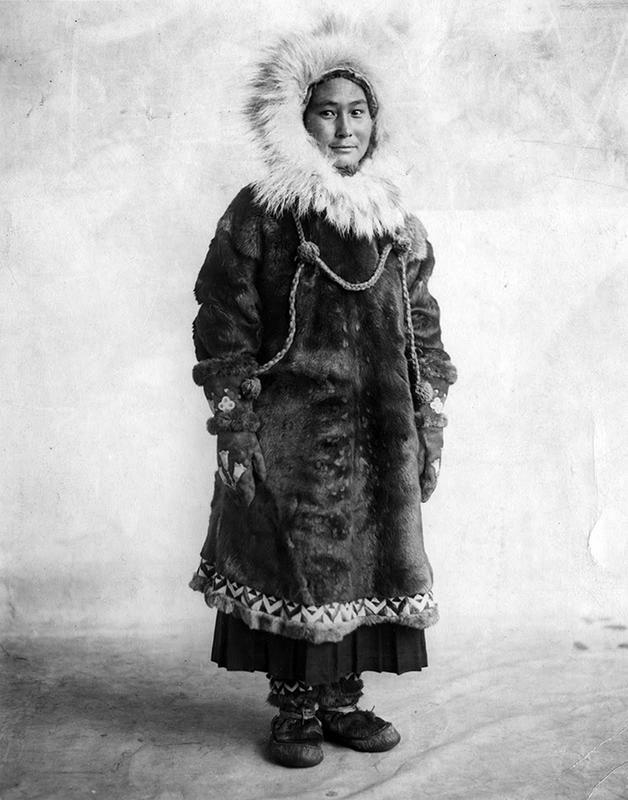 Marshals after her rescue from Wrangel Island. Knight’s condition worsened but he continued to journal the events. Ada remained cheerful. She kept up camp and tended to him. When meat started to ran low, she checked the traps which was almost always empty. Knight died on June 22. “There, with only a dead man as a companion, surrounded by seas of ice, Ada Blackjack wrote the real epic of the North.” She didn’t have much else to do. On August 19, 1923, a rescue schooner arrived. The crew found Ada Blackjack alone. She had used Knight’s rifle to shoot seals over the summer, and chewed their skins so she can make them shoe soles. She had never buried Knight. His body was still in the tent. “I want to go back to my mother,” she told her rescuers in tears. “Will you take me back to Nome?” When they said yes, she collapsed. One of the men who rescued her claimed that Ada Blackjack didn’t do enough to save Knight. 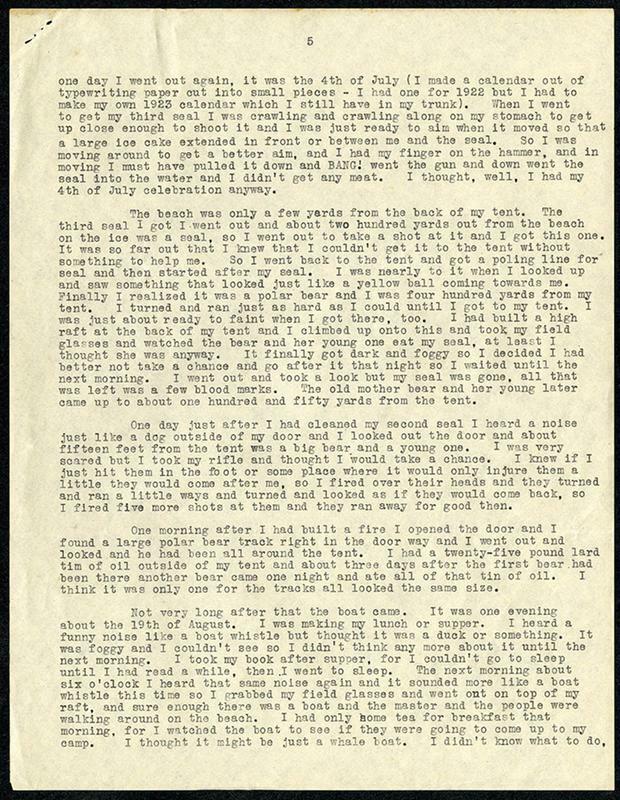 However, when it was later discovered that he had torn pages from Knight’s diary to the contrary, he apologized. Wrangler Island is now a Russian wildlife refuge. As it turned out, the Russians had been occupying the island legally since 1916, the entire time the crew were there.